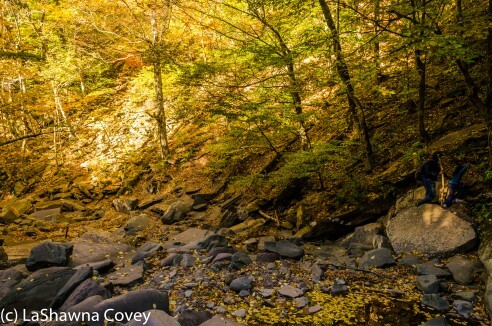 Last fall when I visited New York’s Hudson Valley, I planned on doing as much hiking as possible. 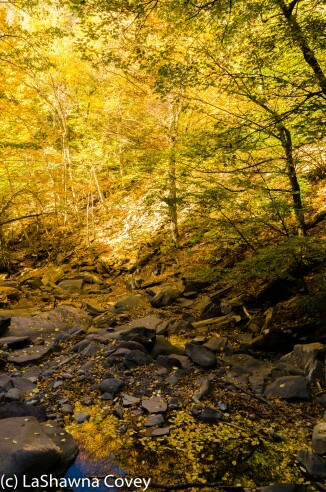 Since the Hudson Valley is so beautiful in the autumn, I wanted to maximize my communing with nature time. The hardest part actually was choosing which hikes to do. I wanted hikes that gave me the most bang for my buck leaf peeping-wise, but I also didn’t want to JUST hike all weekend. I only had four days, and my travel list was long, and the more I read about the Hudson Valley, the longer it got. I found a really great website that laid out most, if not all, of the available hikes in the Hudson Valley. From there it was deciding which ones were closest to where I was staying-particularly in relation to all my other planned activities, which ones were relatively easy, and which ones offered great views. 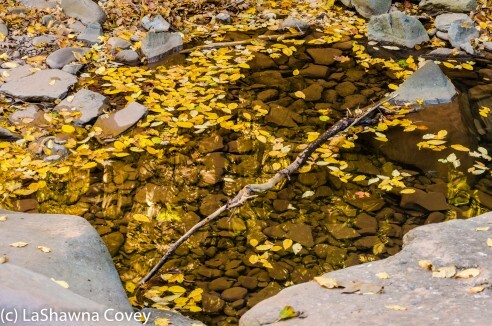 While I enjoy hiking, I was looking to keep MOST of my hikes to no more than two miles, which would allow me to complete multiple hikes and do all the other autumn activity I love so much. 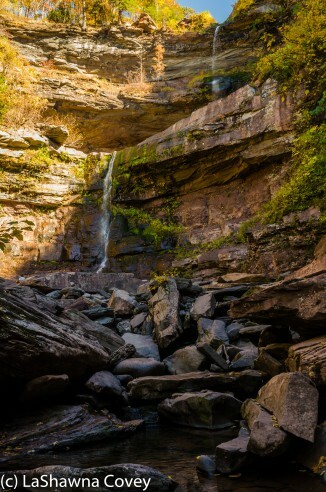 I chose to do the Kaaterskill Falls hike, because it was only 2.o miles round trip, not THAT far off my beaten path, and the website teased a huge waterfall. I am a sucker for waterfalls, so off I went. 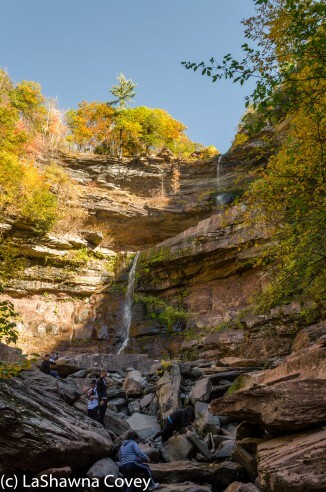 Kaaterskill Falls is off Route 23A, and it was a bit of a drive from the interstate. The road is two lane and well paved, though rather curvy out to the waterfall site. This particular hike is very popular, so it is a bit surprising there isn’t more convenient parking. There is a parking lot about .3 miles past the trailhead. Of course that means you need to walk along the road to get to the trailhead, though the drivers seemed to be used to all the hikers. So much about this hike reminded me of autumn hiking in Korea. The trail isn’t the best, though it is easy to follow. Basically you just walk from the trailhead one half mile until you hit the falls. It really can’t be any simpler than that. However, the trail isn’t just some flat stroll in the park, but it is rather steep in parts and rocky in other parts. Definitely make sure you have some comfortable, sturdy shoes. But other aspects of this hike made me think I was in Korea. 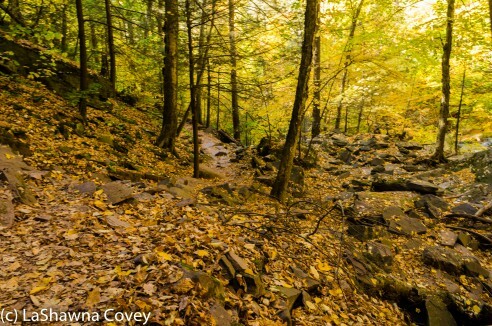 The whole valley, the waterfall, the autumn foliage, all of it looks very much like many of the places I hiked in Korea. It was almost uncanny in spots. 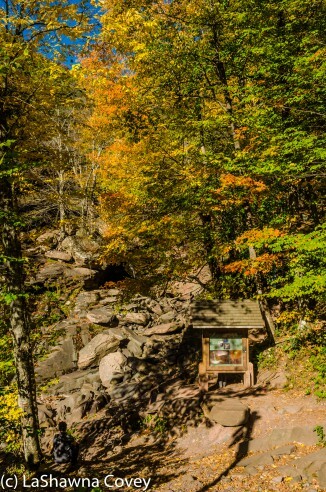 Once you get to the falls, you will see a yellow sign telling you to go no further. While people in the past have climbed up to the top of the falls, it is definitely not recommended, because it can be very dangerous and people have fallen to their deaths over the years. In response to that, new fencing has been put up to prevent people from hiking past the yellow sign. While I can be a risk taker in some aspects of my life, I tend to be pretty safety conscious and try not to risk my life and limb on stuff like this, particularly since falling and breaking a limb (or dying) would have put a serious crimp into the rest of my autumn weekend plans. So I enjoyed the view of the falls from the bottom, and turned around and walked back to the trailhead. Again impossible to get lost. The entire hike only took me around 1.5 hours and that included time to relax and enjoy the view at the bottom of the falls. Like I said, the hike to the falls from the trailhead is only .5 miles, though that length is a bit deceptive due to the challenging nature of the trail in parts. But if you are used to any sort of hiking and in moderate fitness, it really shouldn’t be a problem. Definitely expect crowds, particularly in the fall. I went later on a weekend afternoon, and while the falls weren’t overrun with people, I certainly did not have the place to myself. 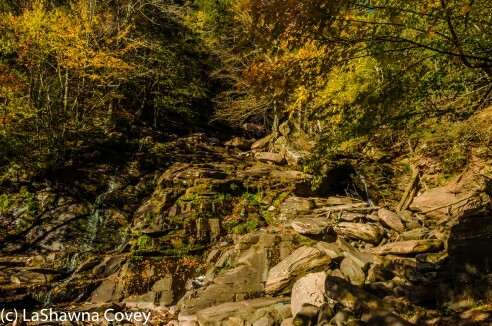 But if you like beautiful nature, particularly in autumn, and love waterfalls, this is a good hike for you. 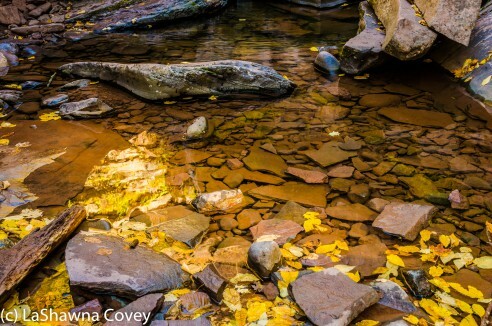 This entry was posted in Photography, Travel and tagged autumn foliatge, autumn hiking, hiking, Hudson Valley, Kaaterskill Falls, upstate New York, waterfalls.